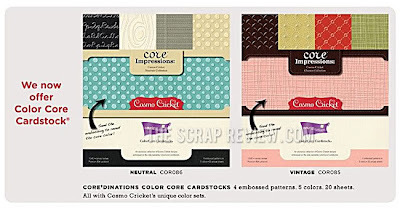 LOVE this new Cosmo Cricket and Core'dinations cardstock! Yummy! And looks like tons of fun! The new canvas line from Donna Downey and Prima. Time to get out the paints and have some fun! See the original post HERE. Both of these lines from Pink Paislee are going to be a must-have. Look at the soft and shabby feel of the greys and yellows in Queen Bee. 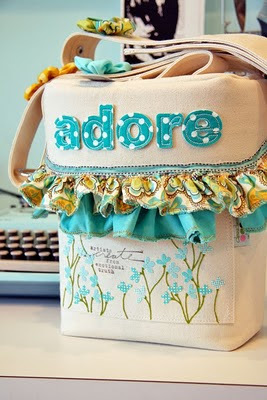 And then hold on to your hats for that fabulously hip color combo from Bayberry Cottage! Doesn't that make you want to get creating? The new core impressions lines are awesome - would love to have all of them. Loving that Queen Bee line - that was also one of my favorites so far. I must have missed the review on the new canvas line - that an awesome project pictured. Hope you all have a great time at CHA!